Saturday, June 16th marks the 4th annual Queen City Jazz Fest. Charles Whitfield has curated another great event. This year, the Queen City will play host to Mr. Smooth and Mellow - Will Downing, The Rippingtons, power music couple - Kindred the Family Soul and the incredible and eclectic - Normal Brown. From beginning to end, this one day festival has something for everyone. I've had to opportunity to catch Will, but the festival was rained out, so I missed him. This will be a treat for me. Kindred, I've covered them a few times and even went to Philly to catch one of their Kindred Presents shows. This is a couple/group you can never grow tired of. So I'm excited to see Fatin and Aja. And Norman, well I caught him last year at the Richmond Jazz Fest and I instantly became a fan. I don;t know too much about The Rippingtons but I'm eager to find out more about them and their music... that's the beauty of music festivals. 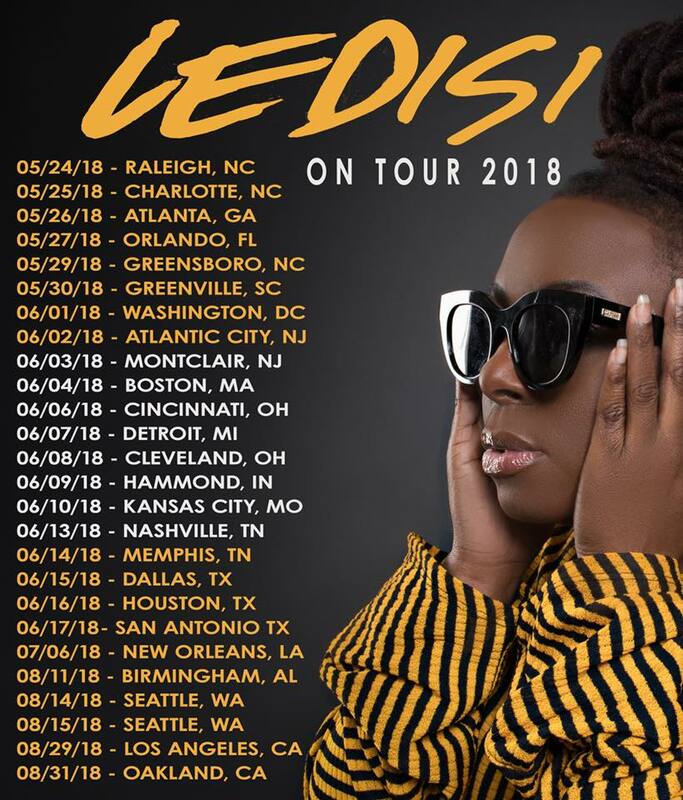 Ledisi is touring and her first stop is right here in Raleigh at The Ritz Raleigh. If you've not seen her in concert, you are certainly missing a treat. And you definitely should treat yourself to this amazing artist. I've always been a fan, but it wasn't until I saw her live that I truly appreciated the artist, of which, she truly is. Twice now I've had the pleasure and privilege of covering her performance and I am definitely looking forward to this third time. Have you given her newest music a listen? I'm all over Us 4Ever and All The Way. But then again, every cut on the album can stand on its own. This is the music that we, or at least I crave. You remember when the album dropped and you could listen to the entire album and not just one or two cuts. That's definitely what Let Love Rule is for me.